At Married In Style Wedding Cars we are committed to offering you the very best price for your wedding day car hire. The price you see is what you pay, there are no hidden fees or charges. It doesn't matter if your wedding is in Leicester or Leicestershire, Coventry or Warwickshire as long as it's within our coverage area. Booking with us is easy. 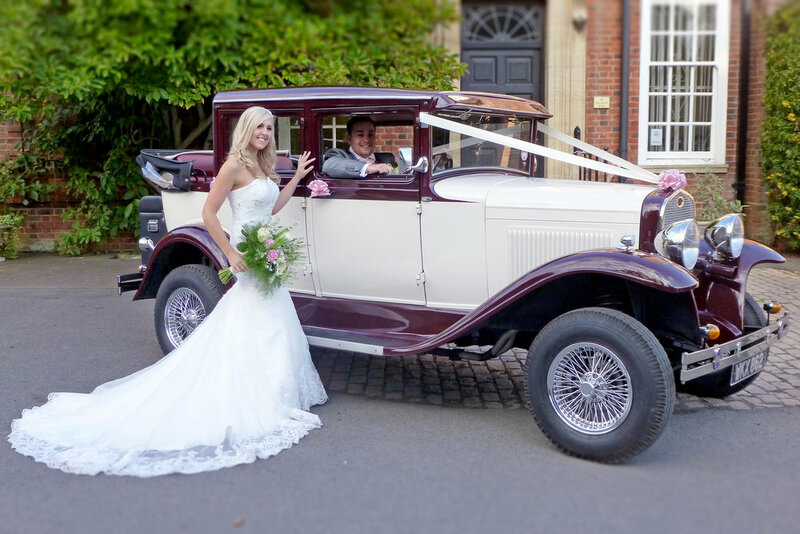 With nearly 30 years in the Wedding Car business we make sure everything regarding your Vintage and Classic Car transportation for you big day is is nothing but perfect. Dealing with only one wedding per day, we can flexibly accommodate you and your photographer for as long as is required after the ceremony. We like to make a feature of the car at civil ceremonies, planning photo opportunities with you and a short trip with the hood down (weather permitting) for the Bride and Groom to enjoy the car and some quiet time together. If you need any advice, just ask us... we're here to help!